The end of the famous Han Dynasty took place between the years 189 and 220 AD. This dynasty was about to fall apart as there were several factions fighting to overtake throne. There was also internal struggle amongst the family members which ultimately led to the destruction of this dynasty. The factions that were fighting for the throne were made up of warlords, various nobles, and court officials. One of the warlords, Cao Cao, started to unify the empire when Emperor Xian was reigning. He later escorted Emperor Xian back to Xu and a new capital was formed there. Cao Cao started to rule this empire with Emperor Xian as the emperor. However, his attempts to unify this empire were ruined when two warlords leading southern forces met with the Han army in a battle that is known as the Battle of Red Cliffs. The Battle of Red Cliffs was fought during the winter of 208 and 209 A.D. The battle was between the northern forces of Cao Cao against the allied forces of warlord Sun Quan and warlord Liu Bei. Quan and Liu united their southern forces against Cao Cao. However, the Cao Cao soldiers were far greater in number. The Han army was defeated in this battle and Cao Cao was forced to retreat to his home base. In 220 A.D., the Han Dynasty formally ended. This happened when Cao Cao’s son, Cao Pi, overthrew Xian. When Cao Pi took over the office, was made the “King of Wei” without any formal authorization to do so. He turned down the throne three times, but eventually accepted it. After one year, Liu Bei made himself the ruler of Chengdu and created the state of Shu Nan. 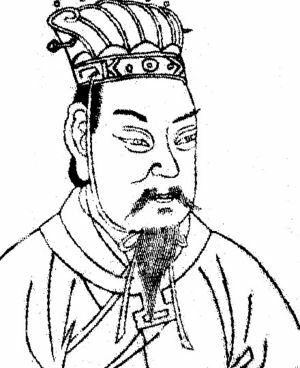 In 229 A.D., Sun Quan also made himself the emperor of Wu. All of these activities started a new period in China called the Three Kingdoms.